Earlier this week we showed you how to use multiple accounts on Instagram, and now Facebook is rolling out a similar feature for its Messenger app, as well as a few other features. (1) Click on the "Accounts" pane on the Settings page. (2) Then click on the "+" symbol to add an account to Messenger. (3) Enter your login info, hit "Add," and you're all set. 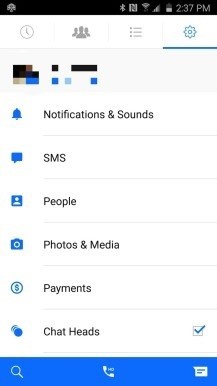 In addition to the account switching feature, Android Police is reporting that Facebook is bringing back SMS support for Messenger, and that it's gone live for at least one user. It's not entirely clear what version of Messenger you need to be on to get a hold of these features. I'm on the the latest beta—version 58.0.0.19.78—and so far only have the account switching feature on my end. These features seem to be getting switched on from Facebook's end, so you may not see these even if you are on the latest version, for now. You can download the beta here, but it only works with Android 5.0 or higher. If you'd like to get updates through Facebook, you can enroll in the official beta testing program. 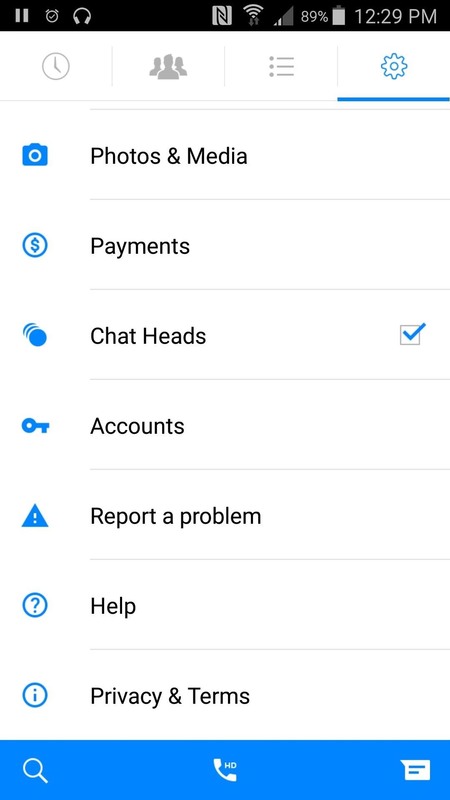 Once you've updated Messenger, check your Settings page to see if "Accounts" has been added. If it hasn't, you'll need to sit tight for a few days for Facebook to activate the features on their end. If it has been added, click that "Accounts" button, then on the next page, hit the "+" symbol in the top-right corner. 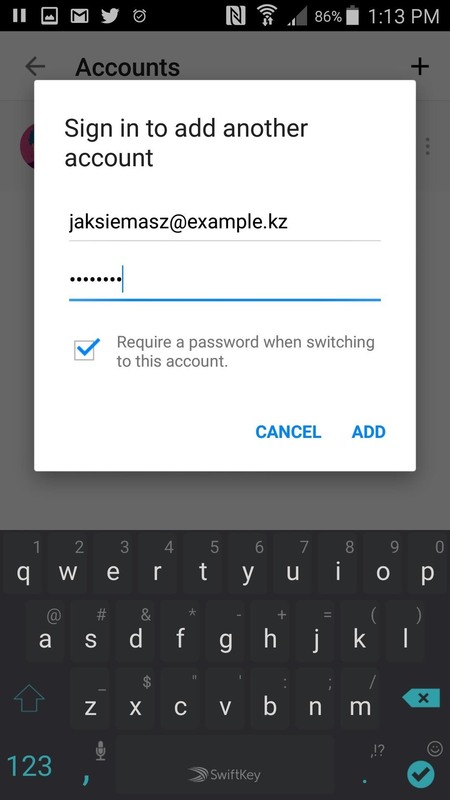 Type in the login information for the account you want to add, press "Add," and you're good to go. Head back to the "Accounts" page when you want to switch, and click on your choice. The option to send SMS messages will appear on your Settings page. 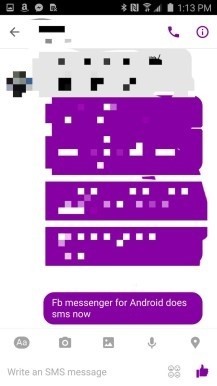 SMS messages will show up in your conversation as purple, rather than the default blue, and the message line will read "Write an SMS message..." as a little reminder that you're using SMS. Unfortunately, SMS threads and Messenger threads aren't rolled into the same conversation, at least for now. 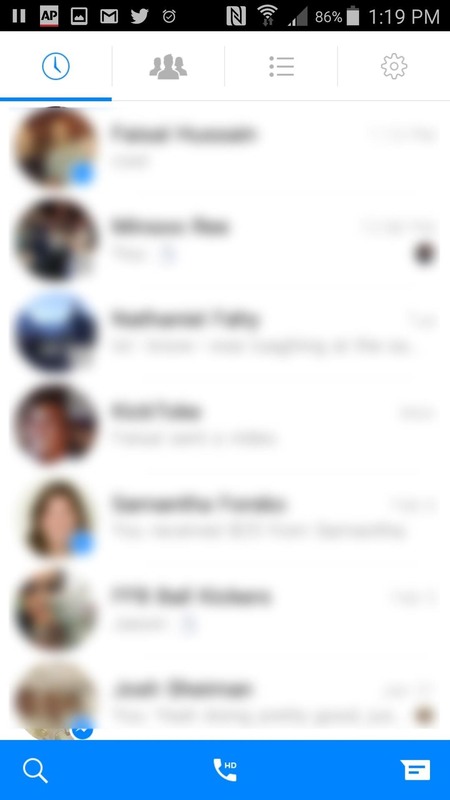 A handful of users have also seen Facebook invert the colors on Messenger's action bar, from blue icons on white background to the opposite, as well as an action button in the lower-right side. These are purely cosmetic changes to come in line with Material Design guidelines, but they look nice enough. 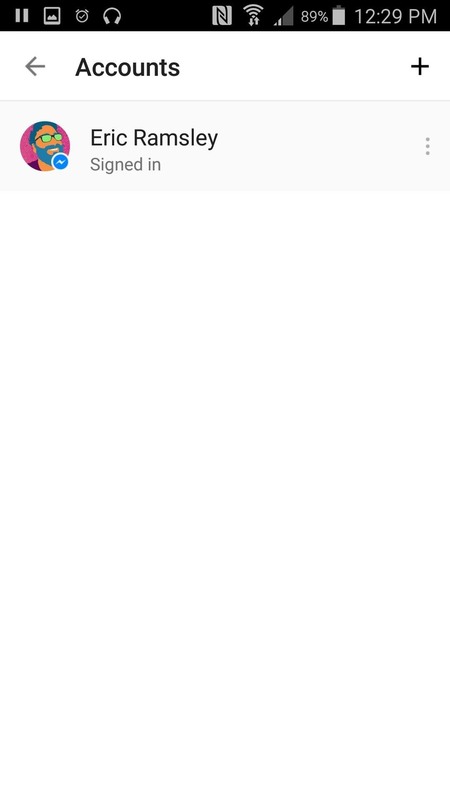 These changes to Messenger all seem pretty good. 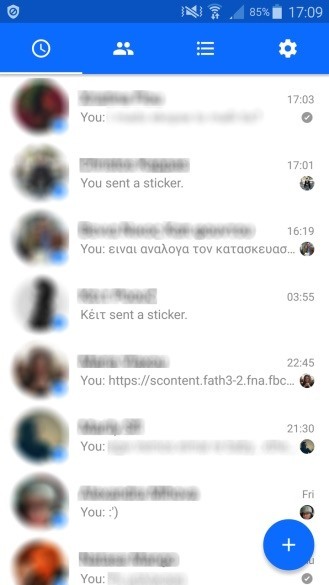 It'd be nice if Messenger conversations could be combined with SMS threads, so hopefully that's a change we'll see in the near future. Other than that, what do you think? Let us know down in the comments.